Life is all about adapting to any situation that comes your way. On my journey in the outdoors, that path can lead down the trail to some lovely places. I have made many mistakes along the way, but grown from them. Isn't that what life is all about? Looking back, it's hard to prioritize backpacking mistakes, but I feel positive self reflection is important; in order to grow as a person. So thought I would share some of these mistakes, with the goal of helping someone. 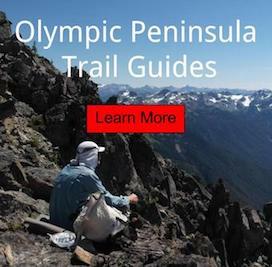 Wish I would have learned these lessons, before backpacking across the Olympic National Park for my first time. Starting my first 7 day solo trip into Olympic. You can see how my posture is affected, by the burden of this heavy load of 75 lbs. Note the blue tarp. I was completely wiped out by the end of each day. 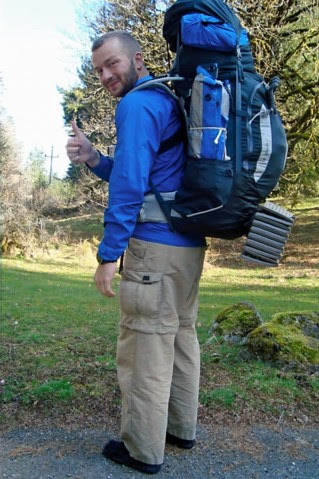 Check out my traditional backpacking gear list. Lighten your Pack! I've grown to realize that each person has different goals in the outdoors. Its hard to nail down one specific formula that fits everyone's hiking style. What I do know is this. Each pound you put on your back, has its own effect on your body. Looking at the photo above, it's hard for me to stand upright. Keeping your body inline to its is extremely important in preventing knee and back pain. Chest up, shoulders back and core tight is its natural state. What do should you put in your backpack? There is no perfect answer. All depends on the goal of the trip and time of season. Self reflect at the end of each trip. Did you really need that camp chair? Does 4 lbs sleeping pad give you a better night sleep? How much space would I save in my pack by ditching a dome tent? Keep a home journal. Listing all these things on paper can help a hiker evolve towards the right directing, down your particular path. Baby the Sleeping Bag! Staying the right temperature at night can make or break the enjoyment of the trip. I am personally guilty of this neglection. Oils and dirt leave your body at night, causing a deflation of the loft. Overtime you will sleep cooler and the bag will actually weigh more. Use the right soap for the type fill inside (down or synthetic). Follow washing directions on the soap and read tag attached to sleeping bag. Wash by hand prolongs the life, but I found that using an industrial machine (without center agitator) at the laundromat works best. Then I dry at low heat with a half dozen tennis balls. I pull apart clumps and reposition the insulation in each baffle, the repeat until I renew that factory plumpness. Keeping toasty through the night makes me smile. At the base camp for Mount Olympus. You can see my sleeping bag looks like hell. Washing my sleeping bag at the laundromat. Weigh Footwear! There is so much emphasis on how much the backpack weight these days. What do you use the most while walking? Your feet! Now I don't want to get preachy on the posture benefits of zero drop footwear or the importance of fighting muscle atrophy by using thick soling; which your body should naturally have since birth. There is so many options on the market today, I can not tell you what is right for you. Your hiking style, health and overall goals are the variables to this equation. I will say this. 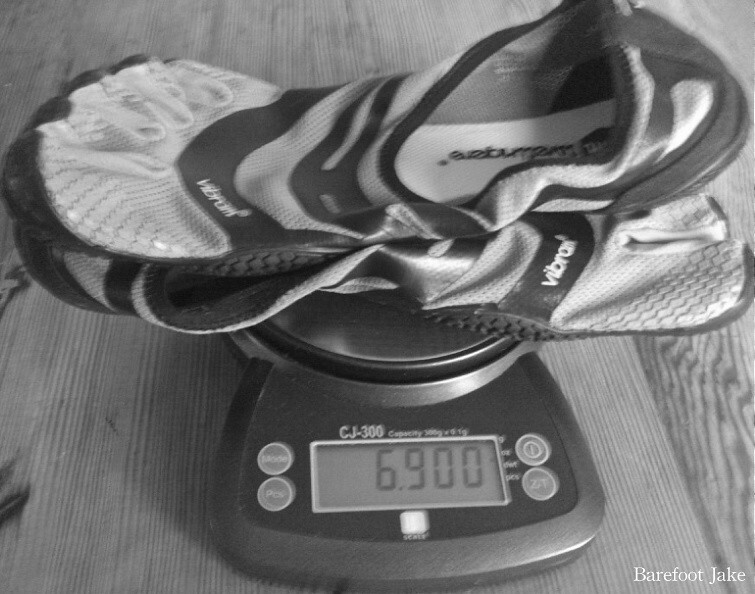 How your boots or shoes weight does matter! An average hiker has a cadence of 60,000 steps for every 15 miles. The variables being body type, terrain and height. Now let's say each foot has 3 lbs bricks strapped to the bottom. That is a lot of extra energy that is expended and for what? Fact: most blisters are caused by improper ventilation to the skin; causing eventual breakdown of a specific area of irritation. Challenge: Put your hiking footwear on a scale. Im not saying go super minimal, just be self aware!